A group of young students from Meiktila district have started producing pants and scarves using local cotton under the Cotton Bagan brand. Their main purpose is to build a trusted local brand based upon Myanmar’s most famous tourism site. Cotton Bagan products are 100 percent cotton, and only available in Bagan, the country’s most popular travel destination for both locals and foreigners, said co-founder Pyay Soe Hein, 21. “In Bagan, there are many imported clothes with high price tags. Elephant pants, which are imported from Thailand, are trending in Bagan. It’s because there are no other choices. There are no local brands that tourists can trust in a lot of tourism areas. That’s why we wanted to build a trusted local brand,” he said. Personally, Pyay Soe Hein doesn’t like to wear elephant pants, and he is sure that there must be other guys like him. That’s why the team chose to start the business by making cotton pants in Bagan. Cotton Bagan was launched by three young graduates of Meiktila University of Economics in the middle of 2017. “We started planning in the middle of 2017 with two other friends, but we have other people who help us. Some juniors from university helped with marketing research and seniors also helped,” he said. The products were launched to the public in October 2017. Before Cotton Bagan, he worked on another clothing brand called Gent and Glory that was mainly supported by the university’s English club members and students from other majors. “So, we already had the experience and had networked with suppliers and garment factories. Our university is not far from the industrial zone. We were able to reach it easily. Our experience with Gent and Glory made things a lot easier when we started Cotton Bagan,” Pyay Soe Hein said. But they needed to go step by step, starting with a brand-building analysis. “We had just a little knowledge from our lectures. So, there were many mistakes when we tried to do things in the real world. This business is bigger than our previous one,” he said. Actually, there are a lot of local brands selling cotton clothes in Myanmar, but they are not pure cotton and some are imported from China and Thailand; they just change the brand logo, he said. “That means, we [in the country] lose too much. [Myanmar] can also source cotton locally but [traders] buy from abroad. So, our country loses money to others. In the old days, people just imported the different fabric sheets from foreign countries. Nowadays, they even import the finished goods,” Pyay Soe Hein said. Domestic tourist sites are places that can generate income for local businesses. But most of the people there order from foreigners; they don’t see how much the country is losing, he added. They have different cotton suppliers and all the products from the brand are made in Myanmar. 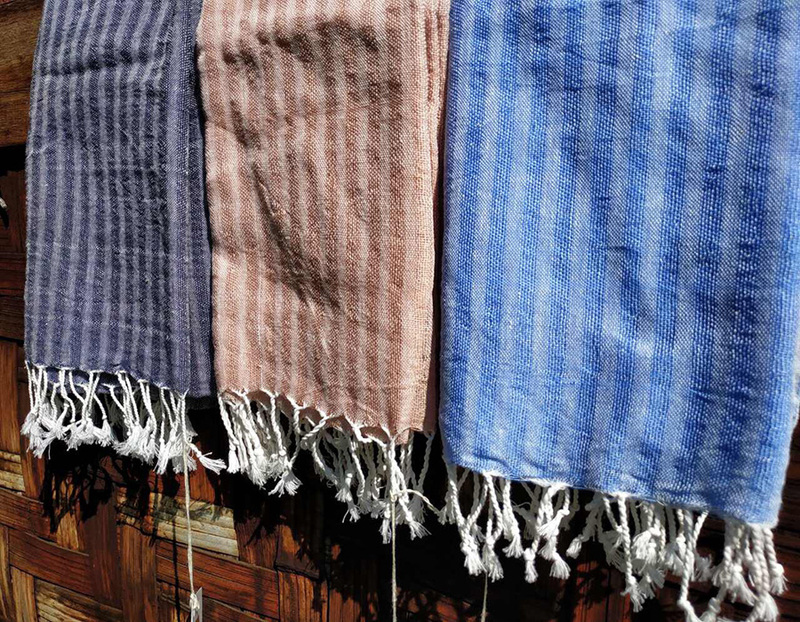 Cotton Bagan doesn’t have a showroom or its own shop; it is distributed via retail partners. “So, we need to make an agreement first with retail partners who promise to sell the products at a fixed price. And they need to explain the product description honestly as well,” Pyay Soe Hein said, explaining the way the company operates. 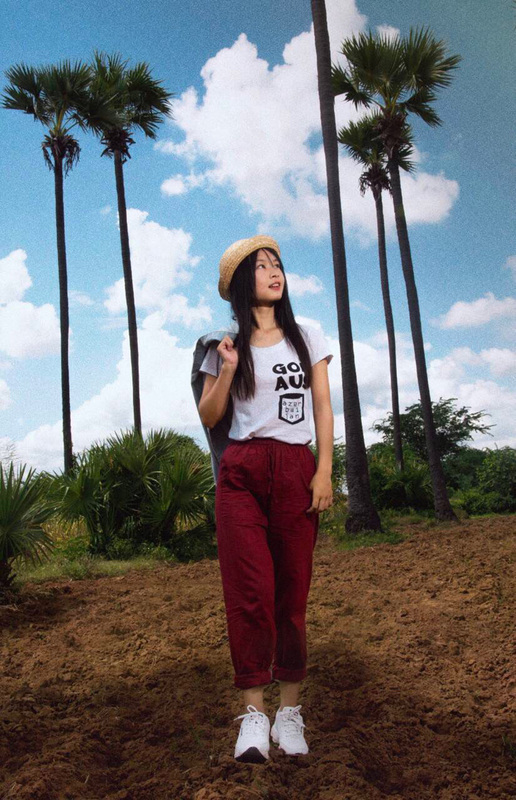 When people visit Bagan, they can explore the area wearing comfortable cotton pants by Cotton Bagan. They can also buy them as gifts for their friends and family; that’s the brand’s other purpose, he said. “That’s why we are careful about the details of the packaging as well,” Pyay Soe Hein said. Cotton Bagan is an officially registered brand. The pants’ design is simple and unisex with different color options. They have small, medium, large and extra large sizes, as well. “The brand is targeted at both locals and foreigners, because tour companies and tour guides are already connected with souvenir shops. So, they go to that kind of shop directly. If we choose those souvenir shops as our retail partners, we need to pay the tour company and tour guides. So, the cost will increase and the profit will be less, or else the products’ price will be high. That’s unfortunate,” he said. In the future, the team will check the response from customers to Cotton Bagan’s first products. It will then expand from Bagan to other tourism sites, Pyay Soe Hein said. The prices for the pants range from 5,600 kyats to 7,000 kyats.